This was a freshen up to a prior CQ coating with Carpro Essence Plus. Minor wash swirls eliminated with Carpro Essence Plus & Carpro Gloss pad. 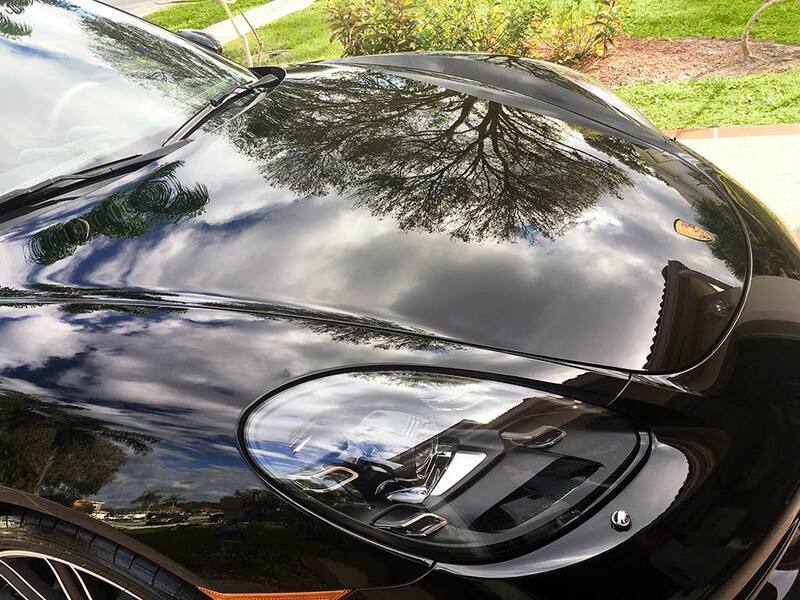 how long was the CQ coating on the car before the swirls from washes occurred, and how bad were they? I originally coated the car over a year ago. When I discussed "How do you wash you car?" when he told me his process I started the "twitch" again. I always discuss proper washing techniques (Two Bucket Wash Method) with my clients. Some listen, some forget and others...well you get the picture. In this particular case this person is very picky and spots everything. You know they type drop if off as Ray Charles and pick it up as Sherlock Holmes. I always try to do the best I can to (safely) make paint it's best. 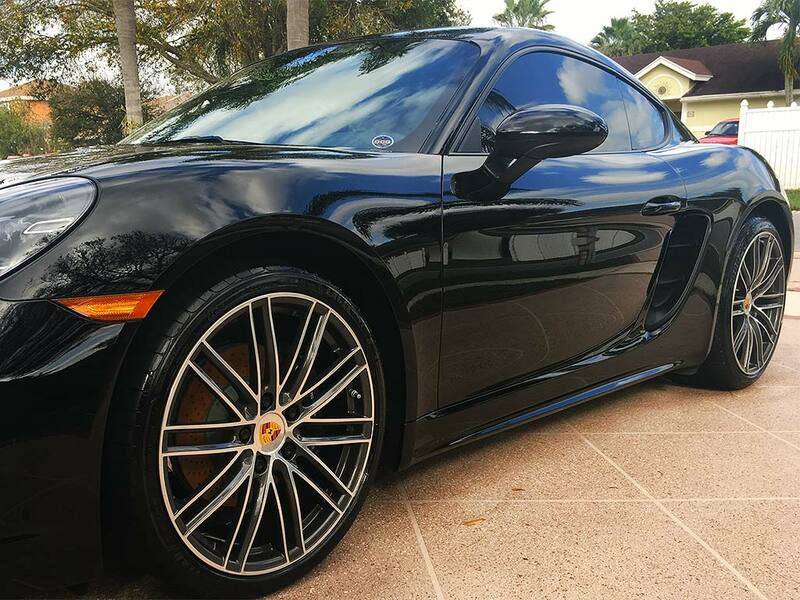 His other Porsche buddies tell him it has a truly perfect award winning concours finish. On this CQuartz Finest coated car I used Carpro Essence Plus. 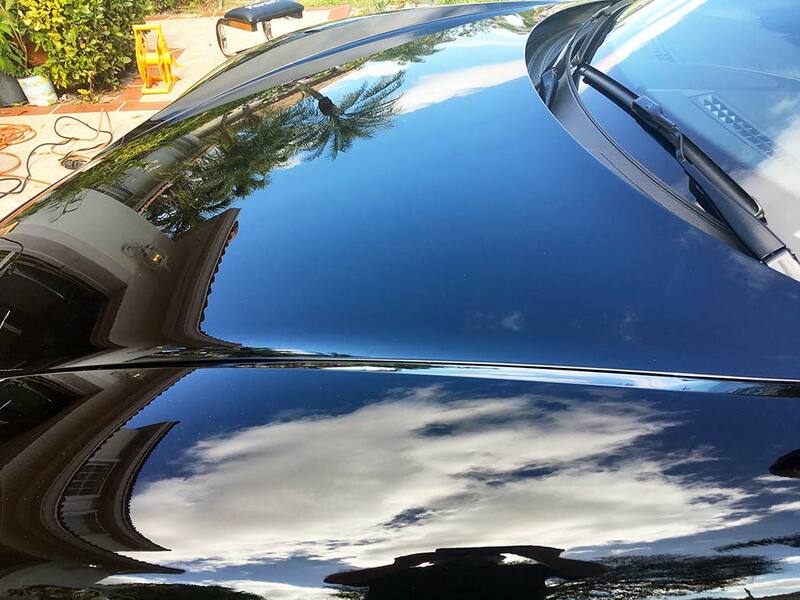 Result: The CQuartz Finest coating remains intact and the swirls are gone. "Carpro Essence Plus is a Non-abrasive Gloss Agent & Top Coat Jeweler that has a durable filler that can last over a year. 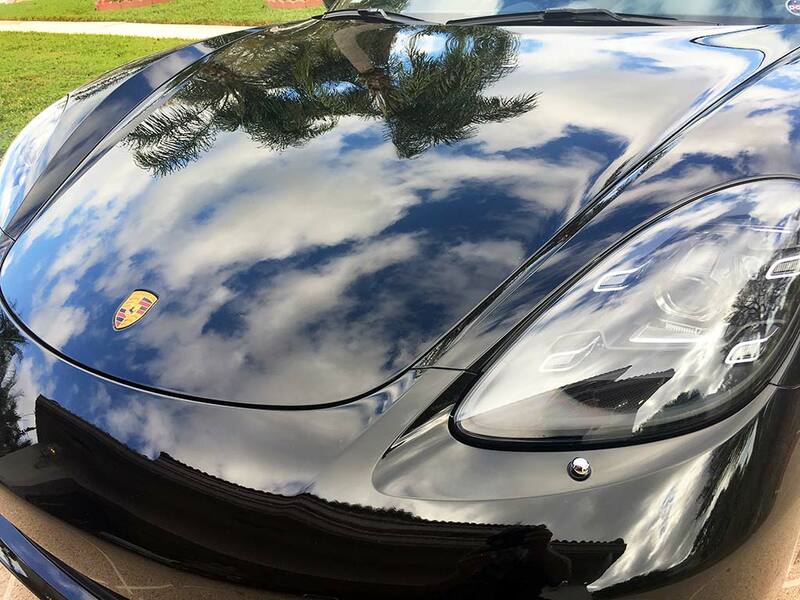 Essence PLUS is a unique, easy to use, SiO2 coat made from ceramic coat repair agents, high gloss quartz resins, and hydrophobic nanoparticles! The concept behind Essence PLUS was an extremely glossy, semi-permanent nano-agent for repairing durable ceramic coatings. 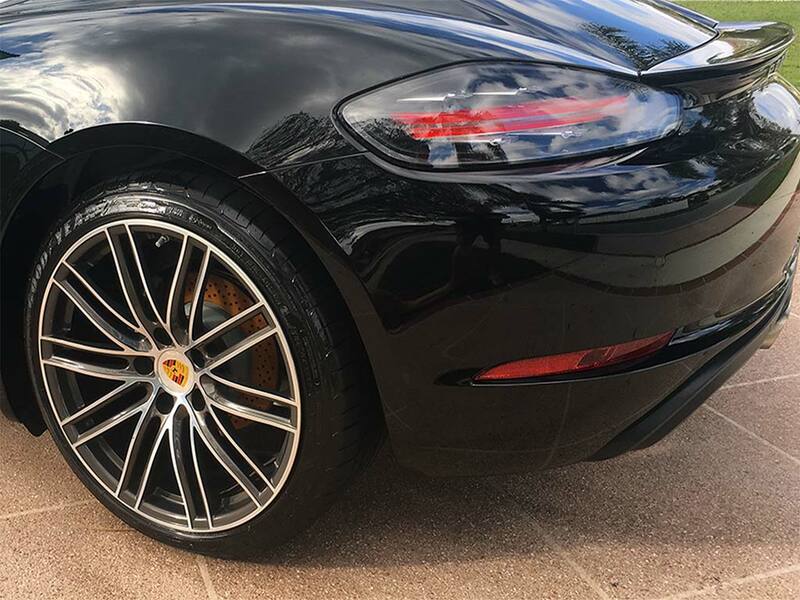 Historically, the only option that a detailer had was to polish or compound the damaged ceramic coating and then re-coat, starting from scratch. With Essence PLUS, we introduce you to the first NON-abrasive solution to repair fine swirls, when an abrasive correction is not in the cards! While increasing the gloss, Essence PLUS simultaneously cleanses the surface, leaving a “smooth as glass” feel and amazing hydrophobic properties!" This is truly a Last Step Product (LSP) you can't apply a coating on top of it. If you want to eliminate fine swirls etc. without abrasion this is my 1st choice. E+ can be applied to bare paint (wax/sealant stripped) with excellent results. The product fills swirls, adds gloss, is non-abrasive and is highly hydrophobic. I prefer to apply Essence PLUS with a DA and NO pressure with a Carpro Gloss pad. IIRC IMHO the product on the pad is what fills the paint imperfections (swirls). Did I mention how easy it is to wipe off with a MFM Crazy Pile towel.